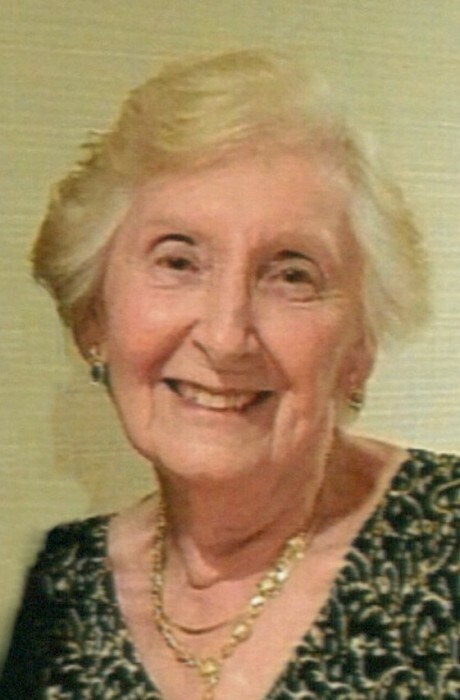 Maureen E. Hudson, 86, of Malvern, formerly of Huntington, New York, passed away on Tuesday, November 6, 2018 at home with her loving family by her side. She was the wife of Gordon F. Hudson with whom she shared 59 years of marriage. Born in London, England, she was the daughter of the late William and Ellen Loader and sister of the late Evelyn Willo. Maureen attended St. Patrick’s Church in Malvern. In her spare time Maureen, enjoyed reading, gardening and bird watching. She enjoyed visiting museums, the theater and had a great sense of humor. Maureen loved all animals especially her dogs. Most importantly though, her pride and joy was her family. In addition to her husband, Gordon, she is survived by her children, Mark Hudson (Danielle), Michelle Alvanos (Costa) and Nicholas Hudson. Maureen is also survived by her brother, Michael Loader and grandchildren, Jonathan (Kimberly), Christopher and Kaitlyn Alvanos. A Mass of Christian Burial will take place on Wednesday, November 14th at 11 am from St. Patrick Church, 104 Channing Ave., Malvern, where friends may visit from 9:45 to 10:45 am. In lieu of flowers, contributions in her memory can be made to the Brandywine Valley SPCA, 1212 Phoenixville Pike, West Chester, PA 19380.